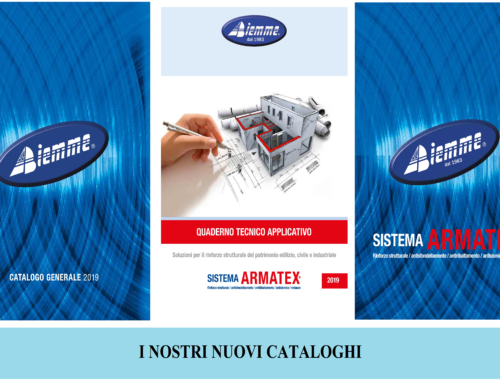 In recent years Biemme has heavily invested in research and development, creating the ARMATEX® SYSTEM, which is one of the most complete on the market. 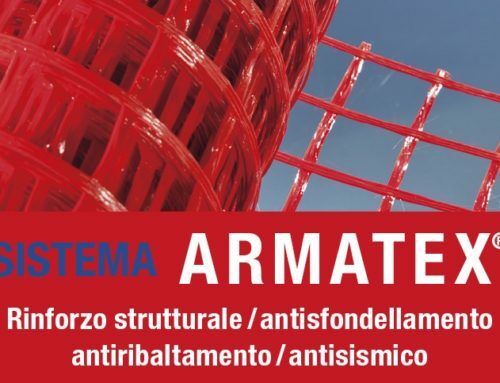 The AR GLASS fiber mesh, stainless steel connectors and the structural mortars are able to meet the requirements of all types of intervention on the civil, industrial and infrastructural housing heritage. 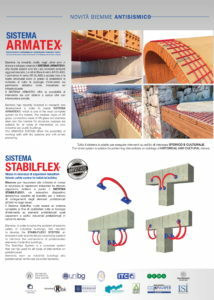 The ARMATEX SYSTEM offers the possibility of intervening with both dry and reinforced plastering systems. The whole system is suitable for carrying out work on buildings of HISTORICAL and CULTURAL interest. 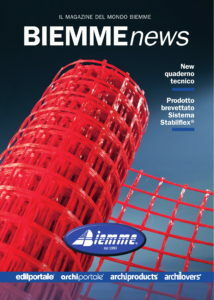 Biemme, in order to respond to the requests for securing industrial sheds, considered it appropriate to develop the STABILFLEX® SYSTEM, an innovative anti-seismic device covered by a patent for reinforcing the connections of the prefabricated elements inside them. 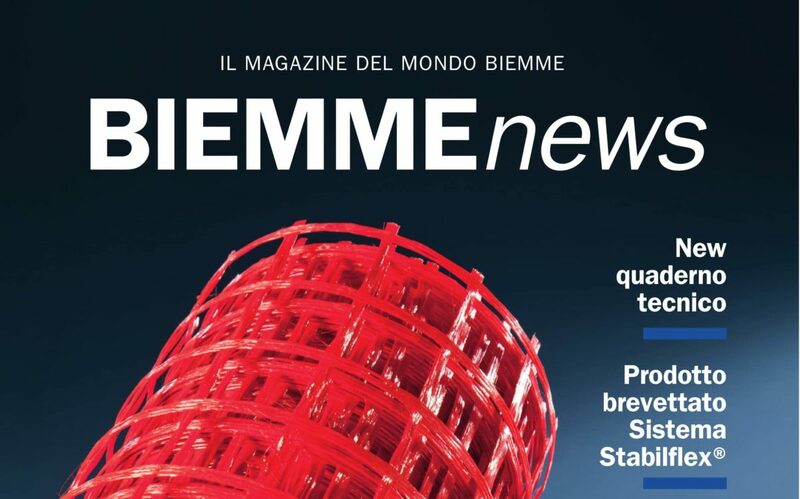 The Stabilflex System wants to be a complete system in order to satisfy all types of intervention on prefabricated elements such as industrial prefabricated sheds and reinforced concrete buildings. 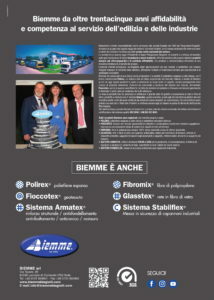 GLASSTEX® 40.40 is a new type of fiberglass mesh with 4 x 4 cm mesh light produced with the best yarns available on the market, built in English and coated to resist cement alkali and gypsum anhydrite. 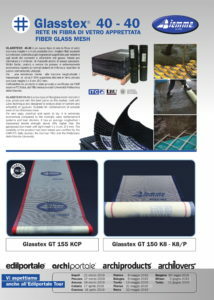 Ideal for reinforcement and reinforcement of even low thickness screeds. Very easy, practical and quick to lay, it is extremely economical compared to the normal reinforcement systems and load distributors normally used. It has an average longitudinal / transverse tensile strength of about 10% higher than the galvanized iron mesh with 5 x 5 cm mesh light. Ø 2 mm. 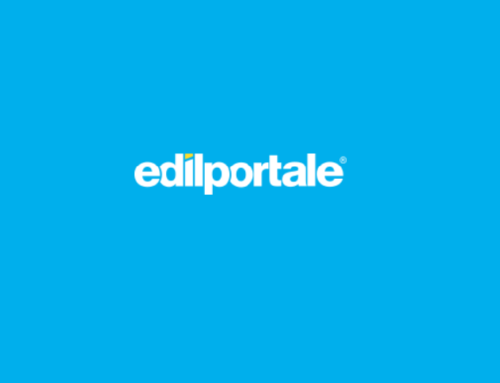 The reliability of the product has been tested and certified by the CNR ITC Italy section, by the German TBU and by the Marche Polytechnic University.